Home» Road Tests » Vauxhall Astra GTC Coupe Contract Hire & Leasing Review. Vauxhall have always made pretty coupe versions of their standard 5 door hatchbacks and on the face of it, the new Astra GTC is just that, but in fact, it’s far more than that as this isn’t just some tarted up family hatch, its something very different. Before we look at the car in more detail, we figured we needed to justify our “very different” comment and its best to do that by telling you what’s different between the normal 5 door Astra and this moody 3dr coupe. Well first off, body wise, only the door handles and aerial are the same as the 5dr hatch and Sports Tourer Estate, everything else is different. The GTC has a longer wheelbase, a wider track, and it’s lowered by 15mm over the normal car and comes with a tweaked rear suspension and a much more sophisticated ‘HiPer strut’ front suspension system as used on the Insignia VXR. All these changes provide the GTC with much better grip levels and improve the cars ride, handling and steering making it a very different car to the normal Astra hatch and meaning it drives like the performance car it looks. Vauxhall kindly gave us a GTC SRI to test and our car was fitted with a diesel engine, which wouldn’t make you immediately think performance, but we found the 165bhp 2.0CDTI offered us all the power we needed to have fun and take advantage of the cars handling, yet didn’t break the bank when it came to gassing it up and in a strange way, we felt we got value for money for each litre we poured into the GTC’s 56 litre tank. Talking fuel consumption, whilst to be fair, we didn’t achieve it ourselves, Vauxhall claim the 2.0CDTi 165bhp diesel, which is the most powerful motor in the car will return an extra urban consumption of 65.7mpg, an urban consumption of 49.6mpg and a combined average of 58.9mpg and it has to be said that for such a pokey, fun to drive car, that aint half bad and gets even better if you are having one as a company car with CO2 of just 127g/km. So let’s run you through what we thought about our week long test with the GTC. Firstly, it’s pretty, of that there is no doubt and our car was in ‘rampant’ red which made it look even more in your face. Whilst the front end is for sure Astra, it’s subtly different with smaller headlamps referred to as ‘eagle eyes’ by Vauxhall and there are some small changes to the cars grille, but that’s all. Side on it’s a different matter as the GTC has a steeply raked waistline and quite frankly, a fat bottom which helps the back end accommodate the massive 19” alloys which were a £565 option on our car, but it’s nice the way the rear end flows out and really gives the car a racy appearance which is exactly want you want from a sporty coupe and as a benefit of the swoopy styling, we are told, the GTC is one of the most aerodynamic cars in its class. The GTC only comes in two trim levels: Sport and SRi but even the entry-level Sport model gets big 18-inch alloys, a DAB Radio with iPod integration, air-conditioning and cruise control. OK, that’s enough spec for most of us, but go for the SRi like our test car and you get the comfy sports seats, an electronic handbrake, automatic lights & wipers and a chunky leather steering wheel and a higher residual value when you eventually sell it on and all that costs just another £1265 extra, so it’s a bargain. The interior of the GTC is fine and indeed, feels as up-market as its Renault and Volkswagen competition, with good instrumentation, chrome edged dials and excellent switch gear, although there are a lot of buttons some of which are pretty small and difficult to intuitively operate without looking down and checking you are hitting the right thing. The problem is, it’s the same good, the same fine and the same excellent that you’re going to find in the family hatch versions of the Astra and we felt Vauxhall missed a trick and should have spent more time and made the interior of the GTC much more sporty and significantly different from the normal car and in doing they would, have really stole a march on the VW & Renault. Our car was an SRI, so had the ambient lighting package which bathed the car in a warm red glow at night. The seats were the much nicer sports versions and were very supportive and in the back of the GTC, there is genuinely enough room for 3 adults and despite the cars rakey looks its got more legroom and more headroom than both the Scirocco and the Megane, although to be fair, I still wouldn’t want to be sitting in the back for a long journey. In terms of practicality, again, the GTC beats its main coupe competition hands down, offering over 90 (68) litres more space than the Scirocco and 36 litres more than the Megane and for a car of this size, the 380 litres is a mighty useable boot, although the button to open the boot is hidden so well, that unless you use the remote key, you’re never likely to see inside the boot. If you do however get the tailgate open, folding the rear seats down, takes the space up to 1,165 litres and that’s kind of what you expect from a normal 5 door family hatch and that’s impressive, however the stupidly high boot sill isn’t impressive leaving you dropping things in, rather than putting them in. Storage inside the car is very good, as there are compartments and cubby holes all over the place (something we recently criticised the 3 series BMW for not having). Prices start at just under £18,500 for the 1.4i 16v VVT Turbo 120ps Sport version, rising to £23,895 for the 2.0CDTi Start/Stop Auto SRi version, whilst our test car chipped in at £22,430 but was fitted with Parking Sensors, 19” Alloys, Bluetooth Phone System and the Navi 600 Satellite Navigation System, which upped its price to £24,655, but a quick look through the option list showed that we could easily of specified a further £4,000 plus on other extras, making it possible to have a £29,000 version of the SRi and that ‘seems’ ridiculous (but is it?). In terms of the main competition to the GTC, the Renault Megane Coupe starts at £16,495 for the 1.6 110ps Expression version, but runs up to £22,590 for the GT Line Tom Tom 160ps at £22,590 and if you fancy something a little bit more sporty, you could even opt for the RenaultSport versions which start at £24,020 topping out at £27,820, but these would of course be the equivalent of a GTC in VXR trim, which is already rumored, with talk of 300bhp being on tap! The only other real competitor is the VW Scirocco, and its start in price is higher than both the GTC and the Megane Coupe at £20,065 rising up to £31,360 for the R 2.0 TSi version with the DSG gearbox, so purely in terms of price, maybe the GTC is beginning to look like a good value buy. However, if you want a coupe but are happy to settle for something a little smaller, Citroen’s DS3 offers super value at just £12,430 although its 207bhp ‘Racing’ version does seem a little heavy on price at £24,300 for what is after all, a smaller car. There is no question that the Scirocco, Megane and GTC are good looking things and the GTC is arguably the most attractive Vauxhall you can presently buy, but in terms of cache, I suppose you have to give the “car to be seen in” award to the Scirocco if only because people have a misguided belief that Volkswagen products are classy & reliable, but you will pay a price for that, because both the Megane and Vauxhall GTC offer much better value for money. On the road, the GTC is easy to drive, apart from the all round vision, which isn’t great and it can be a struggle on a dark rainy night to see who’s around you on the road, but I guess that comes with “Coupe” territory. Performance of our SRi saw 0-60 times of 8.9 seconds and despite its substantial 1495kg kerbweight, the GTC still out performs the equivalent Scirocco. We thought the GTC engine sounded a little harsh at tickover, but quite racy when it was nailed hard, whilst the 6 speed gearbox was precise and light to use. The cars handling was excellent for what it is, with plenty of grip when pushed hard through the corners, although we did feel some understeer when the car began to reach its limits, but that wasn’t an issue as the GTC’s steering was weighted well and accurate and the GTC’s chunky leather steering wheel helped you keep everything under control. Our car was fitted with the 19” alloys, which made the ride a touch bumpy on certain road surfaces, but then, if you like that kind of sporty feel, this only adds to the overall appeal of the car. In summary, we liked the clean and unfussy lines of the Astra GTC and we liked the way it looked on the road, and hats of to the designers at Vauxhall for that, but it’s a pity that Vauxhall didn’t spend more time on the inside of the car and make it feel a lot more special than the normal 5dr family hatch. We liked the way the GTC behaved on the road and whilst it’s not a flying machine, it was never intended to be but instead, it offers a real opportunity to drive a sporty looking car without paying a sporty price in terms of CO2 and fuel consumption. The GTC is a car that’s fun to drive and easy to live with and like a sort of like a ‘designer’ Astra, it says you’re happy to sacrifice the inconvenience of 5 doors to drive such a nice looking thing and of course, drive a car that parked up your drive, looks more like its belongs to you, rather than being the company car its actually likely to be. Finally, you know that Vauxhall product is hugely reliable with excellent dealer support and that there’s a lifetime warranty available. The GTC we tested had a great diesel engine wrapped in a gorgeous looking body and whilst you can analyse all this to death and look to the reasons why you should, or indeed shouldn’t buy a GTC, why don’t you just simplify it all and buy it just because it looks so good? So assuming a 3dr coupe is going to do the job for you, and knowing the logical alternatives of Megane or the superbly attractive Scirocco, what would you opt for? OK, the GTC does not have quite the road presence that the Scirocco does and the Megane is fairly dull in its lower spec versions, so something is telling me that I would opt for the compromise candidate which offers me a blend of performance, handling, economy and practicality and of course, a mid-way ticket price and that’s the Vauxhall GTC, for make no mistake, it’s a cool looking car that does everything pretty damn well. 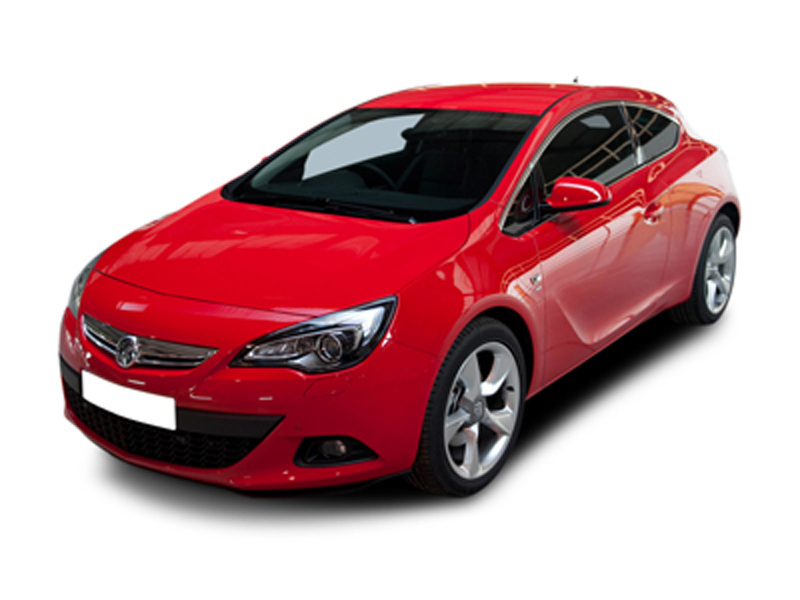 For a quotation on the new Astra GTC or any other vehicle, please contact us.